Save 30 Percent On "The Raw Food Lifestyle"
The normal price of the book is $29.99, but for the next week everyone on this newsletter can check get it for $20.99. Putting this book together absorbed much of my free time and energy for five months, and now, frankly, I'm going to take a vacation to Florida to relax and soak up some sun. Until I get back, you guys should be the only ones who know it has launched. Writing this book took a lot of effort, but it was worth it. 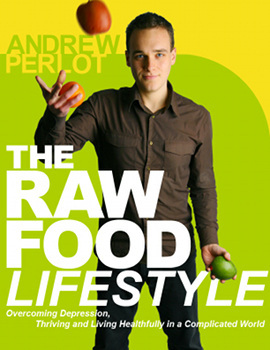 I think the ideas in "The Raw Food Lifestyle," can change your life if you take the time and effort to implement them. Not getting all you expected out of a raw food diet? Depressed, or simply failing to thrive to the degree you know you can? Use the coupon code, "Newsletter" to get your 30 percent discount at checkout.